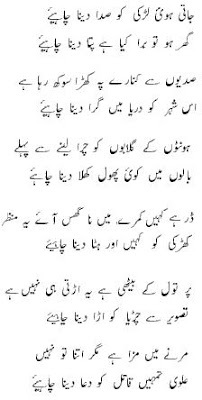 Mohammad Alvi is one of the most important names in Urdu poetry. A modernist, Alvi brought a freshness to the Nazm. A recepient of Sahitya Academy Award, Alvi has recently been conferred the prestigious Ghalib Award. He was born in 1927 and lives in Ahmedabad.